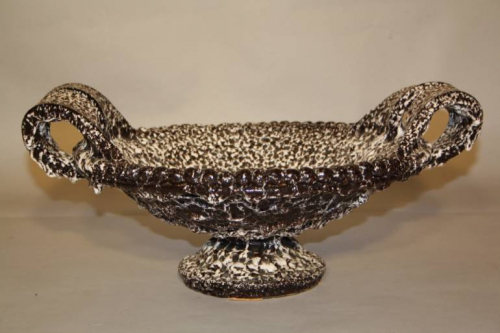 French Vallauris ceramic pedestal bowl by Marius Guige. Stamped. c1960. Part of the grotto collection series. A stunning and elegant design and beautifully made.